One of our clients, a technician drawing master, used his initiative and managed to register his college with Autodesk as an Educational Facility. He now has access to 3000 seats of AutoCAD that operates on a network license and is valid for 3 years! At the end of this period new license must be requested. Neither would he be limited to AutoCAD as he could request Revit, Inventor or other program licenses. Supposing the school has 50 classroom computers and 1000 pupils each with their own laptop, then he could structure the use of the licenses as follows. Let the computers at school acquire the licenses from the server as normal. Install the software on each of the pupil’s computers and then let them borrow the licenses periodically every few months so they may work at home as they choose. Were all the licenses used, the total value of the licenses add up to hundreds of thousands of Rand! Also, since the college is now registered with Autodesk, its pupils may register individually with their own Educational accounts, offering them access to practically all the Autodesk products for 3 years, as well as unlimited cloud credits. This will allow them to investigate the world of infinite cloud computing that is powering the 4th industrial revolution. There will be some expertise required when installing and activating the software. Have a look at the blog following this one http://www.mgfx.co.za/blog/install-educational-licenses/ to gain a quick overview of what that entails. This drawing master contributed handsomely to the Education system. Do the same with your college! Contact Micrographics and let us help you with information, training and installations. 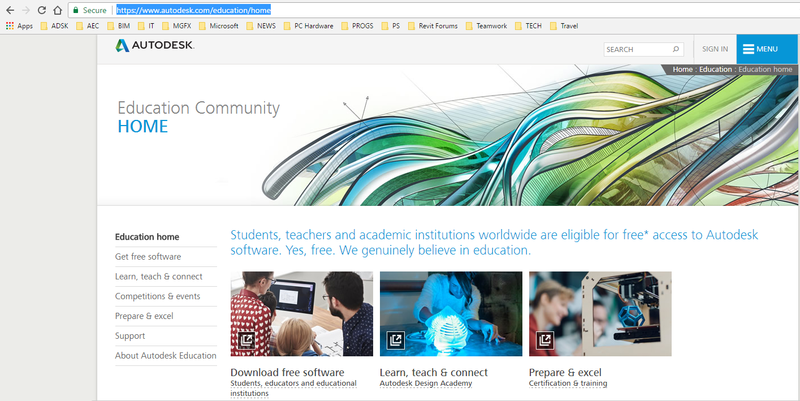 Micrographics is a gold partner of Autodesk, and proud to be associated with a company offering unparalleled benefits to the global educational sector.